Launched in 2016 by Catherine Holstein, this label has established itself as the go-to for cool, season-less essentials. Liquid silk blouses, languid tailoring and effortlessly glam dresses are among the coveted signatures. Look to unexpected touches – including clever fastenings and unusual textures – to infuse each piece with standout appeal. 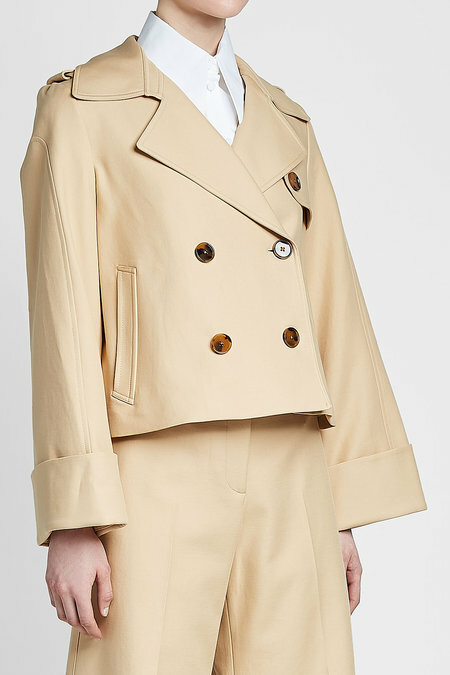 A more casual take on the iconic trench silhouette, this short cotton jacket from Khaite is a versatile topper in neutral beige. 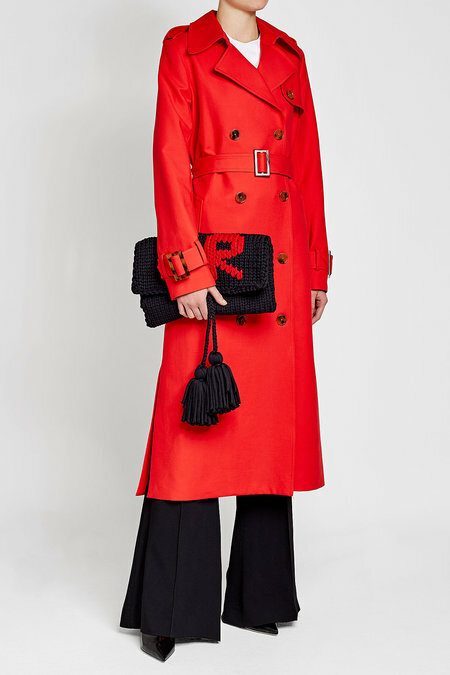 Styled with a smart double-breasted button front and slick epaulets, it works with most looks, from tailored dresses to skinny denim. 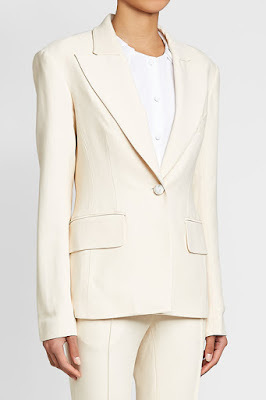 A neutral color and a classic shape makes this Khaite blazer a chic investment that will stand the test of time. 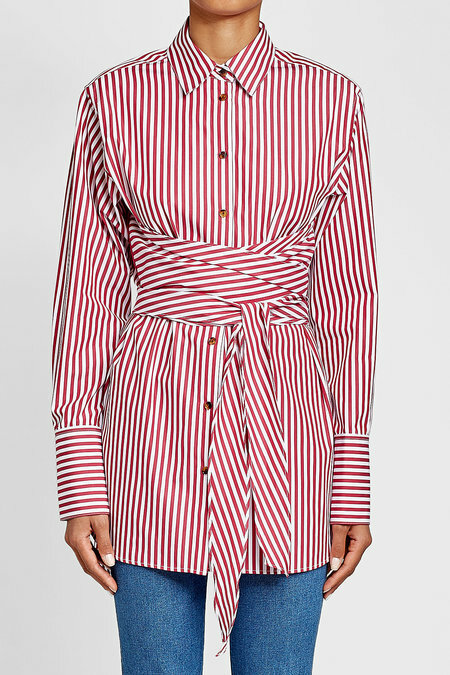 Precision tailoring - from a smart collar and lapels to a neat button front - are flattering touches that will dress up slim denim or accent a sleek tailored dress. 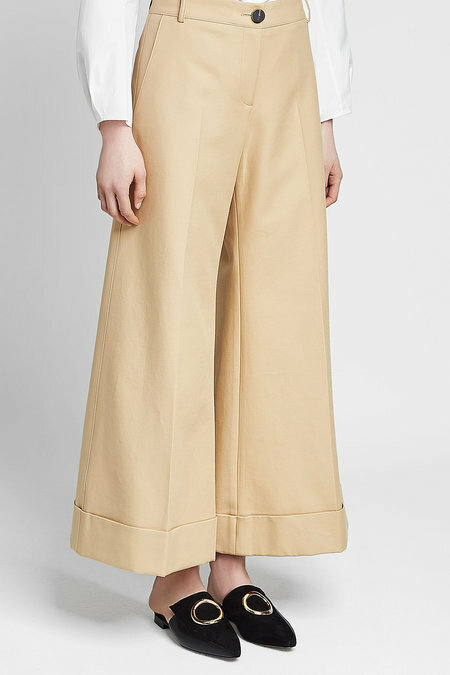 The statement wide leg of these Khaite pants is anchored by the neutral beige color and neat cuffed ankles, making them an accessible choice that will catch stares. The high waist is flattering and comfortable - show it off with a cropped top or a fitted knit. Breathe tailored refinement into any edit in these versatile pants from Khaite, styled with immaculate pleats and dyed in a classic shade of black. 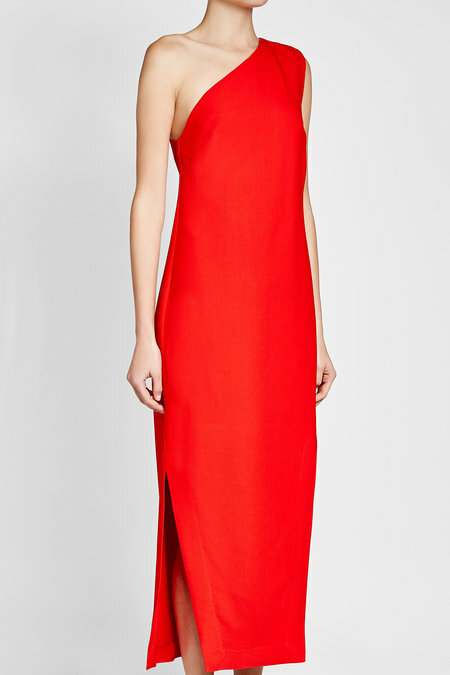 Add a crisp white shirt and pointed pumps for a go-to look. 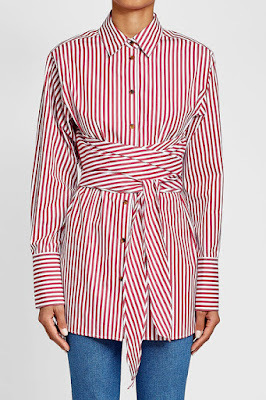 Bold in white and red stripes, this cotton shirt from Khaite is styled with a sharp pointed collar and a wrap-around accent at the waist, drawing the eye to your smallest point for the most flattering results. 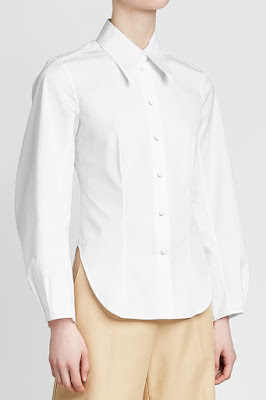 Volume through the sleeves and a pointed collar makes this pristine white blouse a slick and versatile option from Khaite. Neat buttons in a tonal finish keep it suave enough for business (with tailored pants) but pretty enough for brunch dates (next to a midi skirt). 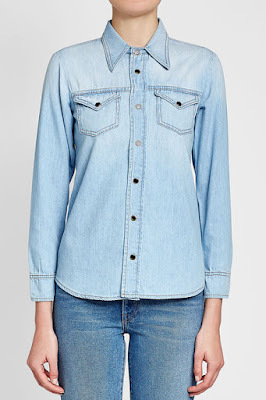 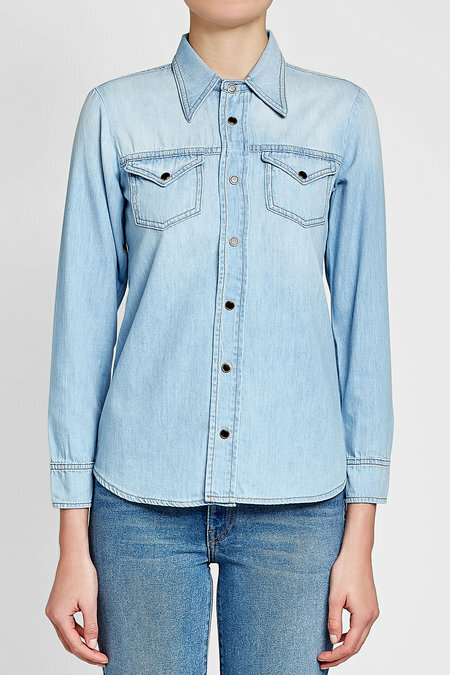 A versatile layer in pale blue denim, this slim 'Sara' shirt from Khaite is easy to style casually or with refined finesse - just focus on the pointed collar for sharper looks or cuff the sleeves for youthful ease. 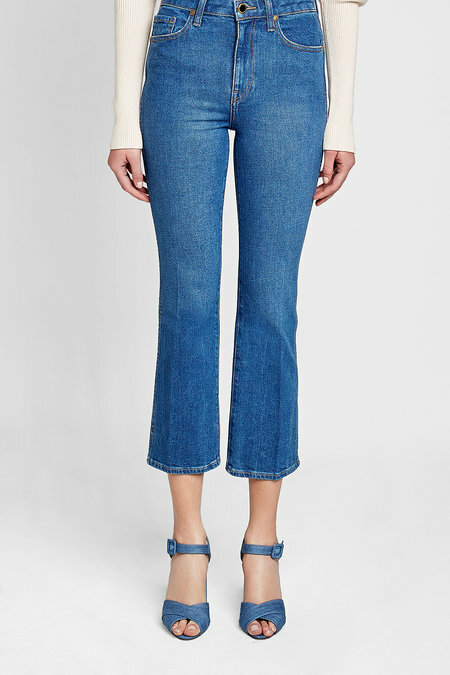 An elegant addition to any denim edit, these blue 'Benny' jeans from Khaite are cropped and flared for the most contemporary and flattering fit. 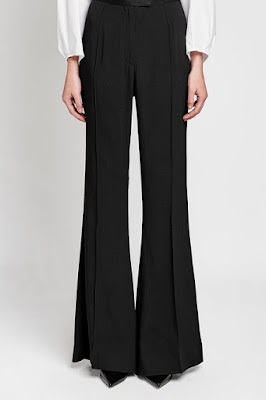 Minimal fuss keeps them versatile enough to style through all seasons.